Guided snorkeling tour by boat along the Island Roqueta in front the old town of Acapulco. Join the experienced snorkel guides for an unforgettable journey through the underwater paradise around the Island Roqueta and Caleta area. 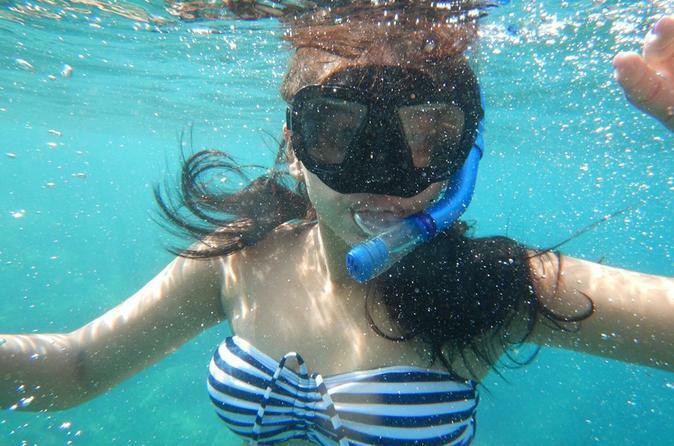 You will have some amazing experiences while snorkeling on this tour. Your half day trip starts at the lobby of your hotel or cruise ship terminal, where you get picked up by a friendly driver. After your ride through Acapulco you'll ending at the historical Caleta area, where everything started a long time ago. Once you get to the dive shop, you will be provided with snorkeling gear (fins, snorkeling, mask and if you prefer a life-vest for your security). There are also digital snorkeling cameras for rent where you can save memories, and get them on a CD afterwards. Once everybody is ready, you will leave on a boat to the Island Roqueta which is an area protected from the Pacific ocean. There are some lovely lagoons with exiting fishes which are unique to Acapulco. After snorkeling in the area, you will be taken back to the dive shop or your hotel (depending on option selected).